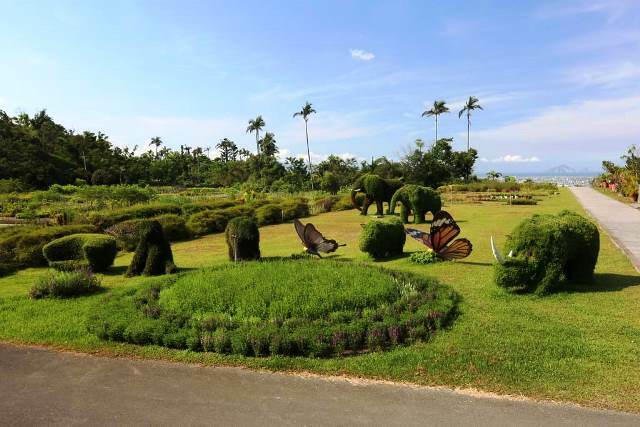 With an area that covers around 100 hectares, the Renshan Botanical Garden is the largest plant nursery in the Yilan County that cultivates bamboos and seedlings of cypress and pine trees as well as variety of trees, plants and flowers. Formerly known as the Renshan Nursery, the garden is located at the northern part of the Central Mountain Range and is found along the upper stream of the Dongshan River at elation between 50m to 50mm. The garden is also known as the Ren Mountain Botanical Garden and is mainly visited because of its prevailing climate typical of subtropical rain forests. The garden is surrounded by vast green valleys and forests that make up its spectacular scenery. Because of its distinct geographical environment, the garden is home to a variety of plants and species including birds, amphibians and insects.